As we looked through photos of our state’s waiting children, the faces haunted us. We were overwhelmed with sorrow and regret. Regret that we couldn’t adopt them all. But after trying, unsuccessfully, to conceive—including an attempt at in vitro fertilization—my husband, Kevin, and I decided to explore adoption. The faces of waiting children look much the same in every state. They are six and 10 and 12. They are children with difficult histories. They are not infants or toddlers. They are not blank slates. Some have emotional problems and learning disabilities and even serious health concerns. But like all children, they need permanent families. A place to call home, a place of safety and guidance today, a place to bring the grandkids for Christmas tomorrow…. 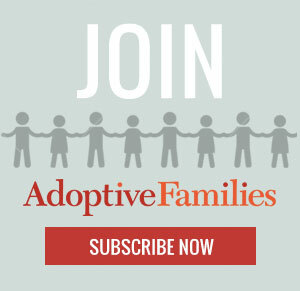 Continue reading “Older Children From Foster Care Were Right for Us” at AdoptiveFamilies.com.